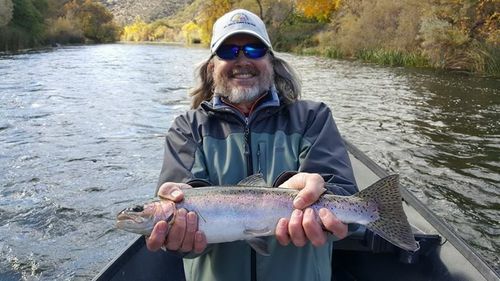 November Steelhead fishing on the Klamath river is off to a great start. These bigger Winter Steelhead (2 to 10 pounds) will be in the Klamath system through April. You can catch these hungry fish using a variety methods; Fly-fishing under an indicator has been hot as well on the swing, plug bite has been great, and you can never go wrong with the garden hackle. November is a gorgeous month on the river the fall colors are stating to show and river traffic is next to nothing so pick your poison and give me a call/text 530 905 0758 or email scott@caldwellfishing.com - Don't forget the Holidays are just around corner put a fishing trip in your loved ones stocking this year. Checkout my Booking Calendar to see what days are available.